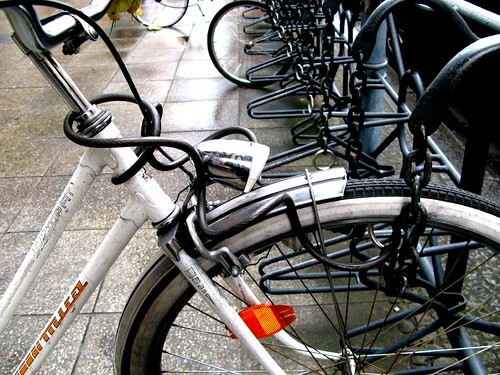 ccc_Bike Rack Berlin, originally uploaded by [Zakkaliciousness]. Deliciously cool bike rack in Berlin. Slots for the wheels and chains with which to weave through your wheel and attach your lock. tags: "berlin bike culture", "bike lock", "bike racks"